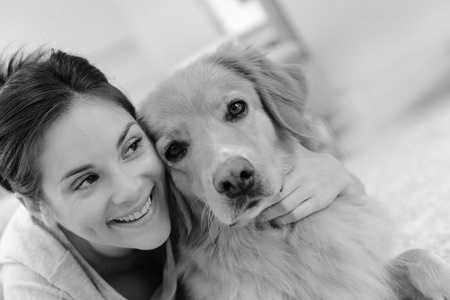 Welcome to our website and the SIMPLE, CONVENIENT and AFFORDABLE way to provide your pets with they care they need. Do you sometimes lose track of what parasite preventatives you should be giving to your pet and when they should be given? Do you wish there was a more affordable way to pay for your pet's parasite prevention? If you answered "YES" to any of these questions then the Parasite Prevention Program is the solution! The Parasite Prevention Program mails the required products to your pet when they are needed. You don't need to remember a thing! Simply enrol your pet to receive the products you wish (and we can help you if you need any advice) and we will look after the rest. What's more we spread the costs out so you pay monthly by direct debit from your bank account or credit card. "Mitzi's flea treatment arrives each month like clockwork. I just open the envelope and put it on her." With so many different products on the market it is no wonder that pet owners often get confused about what brand or products they should be using to protect their pets. Our simple comparison charts take the guess work out of trying to understand what product does what! Simply click on the species you are interested in to view the comparison chart of products. Bass Hill Vets are In! Bass Hill Vet are now offering our Program in NSW. Learn more about them here. Gawler Animal Hospital has PPP! Gawler Animal is the first vet in South Australia to join us. Read more about them here. We are thrilled to be helping the Geelong Animal Welfare Society protect pets from parasites. Learn more about them here. Because we like to keep things simple for everyone we always debit our payments from our clients on the 15th of each month. We appreciate that some of our clients need to transfer funds into their bank account or on to their credit card to ensure the payment goes through without a problem. Life's busy and sometimes we need a little reminder to do this! Naturally we can help! If you have a pet enrolled in the Parasite Prevention Program and would like to receive a payment reminder email a few days before we debit your bank account or credit card then sign-up here.